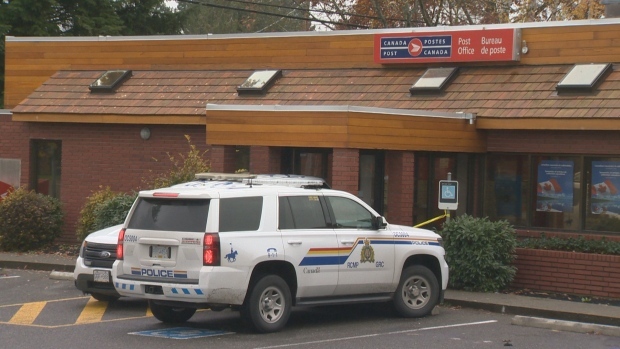 A Canada Post office in Parksville was evacuated after a staff member came into contact with a white powdery substance. Police were called to the Canada Post on Island Highway East shortly after 10 a.m.
Mounties say the employee was sorting parcels when they came into contact with the powder on one of the packages. Employees then evacuated the building and called police. RCMP were unable to determine what the substance was and called in an Explosive Disposal Unit from the Lower Mainland. That unit was expected to arrive at the post office later Thursday afternoon. RCMP have secured the post office until then. So far, investigators say the employee who came into contact with the substance has not experienced any medical issues.